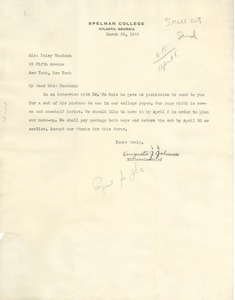 New York (N.Y.) - Concerning a request to answer an enclosed letter. 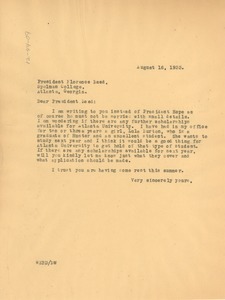 New York (N.Y.) - Concerning a possible scholarship for Lulu Burton to attend Atlanta University. 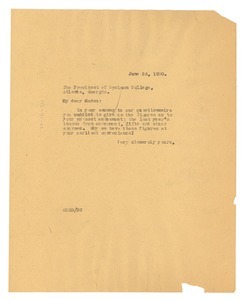 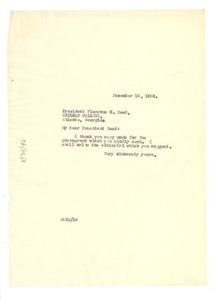 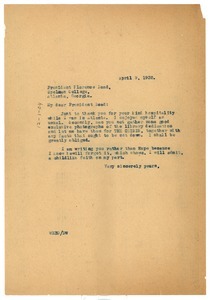 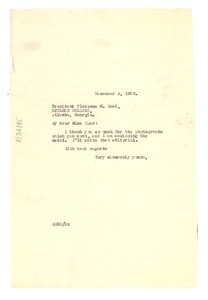 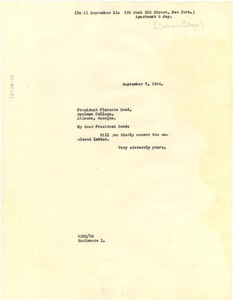 New York (N.Y.) - Addressed to the President; requesting that she furnish concrete figures on the College's present endowment, gifts, and other sources of funding. 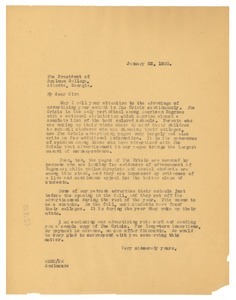 New York (N.Y.) - Encouraging the President to take out regular ads for the school in the "Crisis," on the basis of its scope, focus, circulation, and renown. 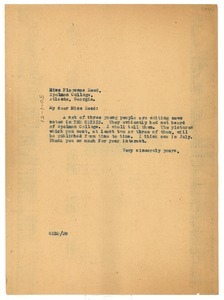 New York (N.Y.) - Du Bois apologizes for the mistake printed in the Crisis regarding Spelman College; notes the pictures of the library will be published shortly. 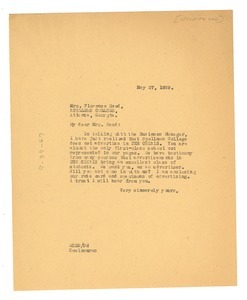 New York (N.Y.) - Du Bois thanks Read for her hospitality; requests photographs of the library dedication for use in the Crisis.